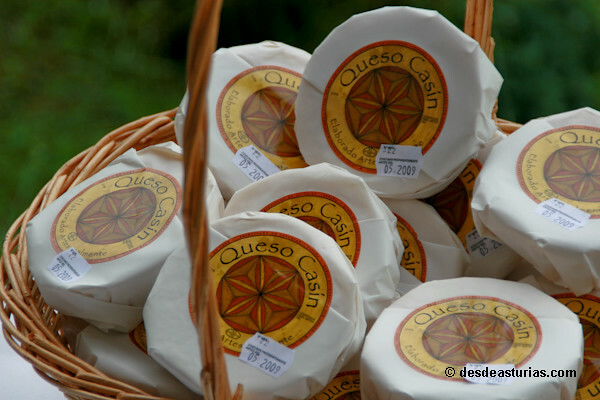 The Casín Cheese is one of the jewels of the Asturian dairy products. 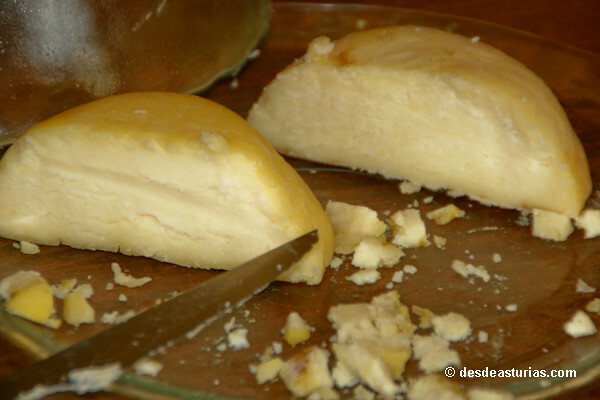 Elaborated in the case council, inside the Redes Natural Park, is, perhaps, one of the least commercialized cheeses of Asturias even though in the 2006 year it obtained the Denomination of Origin. For its quality and unprecedented taste, it is at the height of two of the Principality's milk monarchs, such as Cabrales or Gamoneu, and only certain anonymity keeps it away from a deserved popularity. Its distinctive flavor is a combination of at least three factors: the exclusive cow milk casina, native breed dedicated primarily to the production of meat, with a very limited yield in dairy production, but that grazing in very rich and exclusive places generates a high-fat milk The second factor is the rennet used, from dried stomach of pork, which gives a unique flavor to the cheese. And the third, the strictly artisanal process that is followed throughout the elaboration and the time of curing. 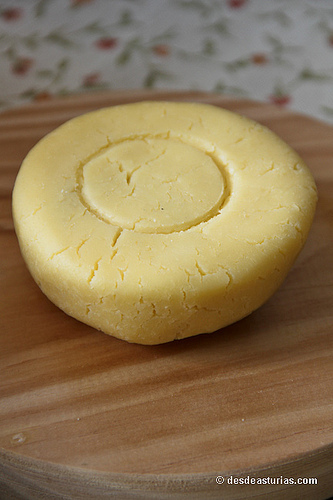 The origin of Casín cheese in fact it is unknown, but it is clear that it is very old. 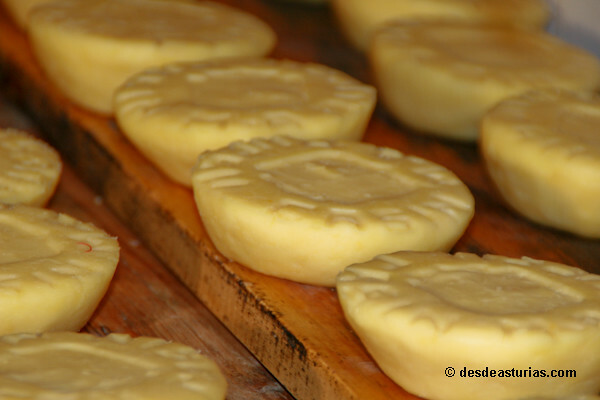 Legend has it that after the battle of Covadonga, the casinos gave Don Pelayo such a large cheese that in order to transport it, a car from the country had to be used. Until the seventeenth century the cheese, along with lard, was a usual species of payment. Jovellanos, in his letters to Ponz, also reports on the "extraordinary success" of the Casín cheese in Paris. As ancestral as its origin is it's taste. 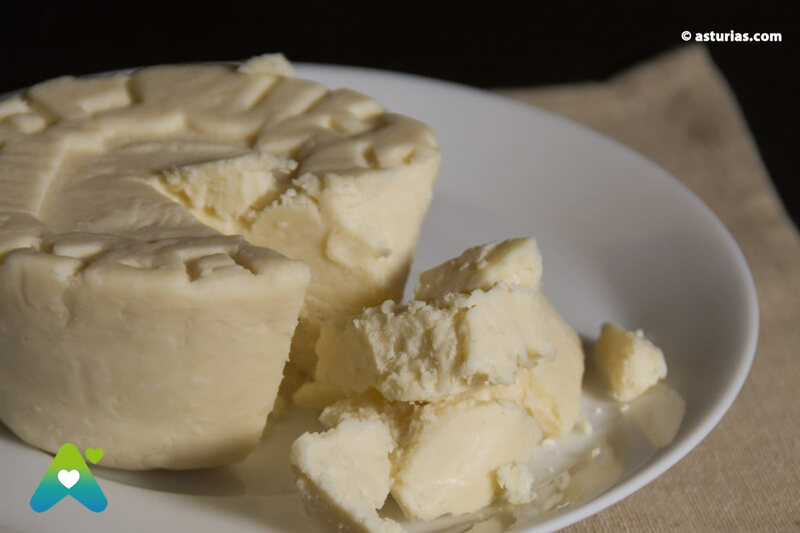 It is surprising for the profane to taste a cheese so intense in all aspects; fat as few (with a minimum of 55 percent fat), indomitable in its aftertaste, and very nutritious for its high value in proteins and calcium. Its color is yellowish, with whitish tones, creamy and without crust. Its aroma very powerful. Its texture is firm and compact, somewhat coarse. The flavor is strong and somewhat spicy, a little wild, difficult to assimilate for certain palates, with the rustic aroma of the butter very cured, persistent and slightly bitter at the end of the mouth. Its most common weight is about 250 grams and is coined with a stamp that prints a very characteristic relief and gives it more personality if possible. 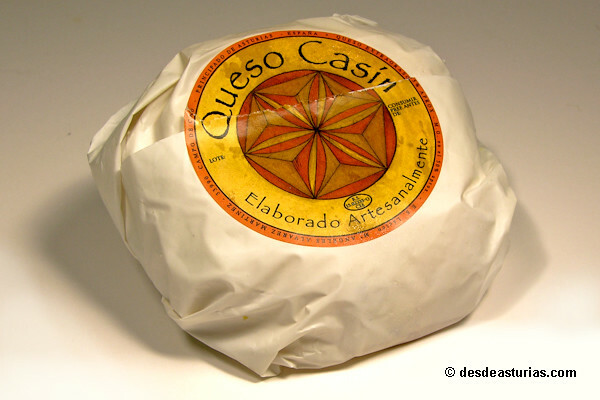 Casin cheese is a very worked cheese, a "woman's cheese" could be said, because the industriousness, the care and the care that requires its elaboration have always required the female hands. It is women casinos who have the secrets, who learned from their mothers and grandmothers, and those who currently continue with the elaboration. The process starts by heating the milk to about 35 degrees or at the temperature of the blood: when, throwing a drop on the back of the hand, neither cold nor heat is felt. 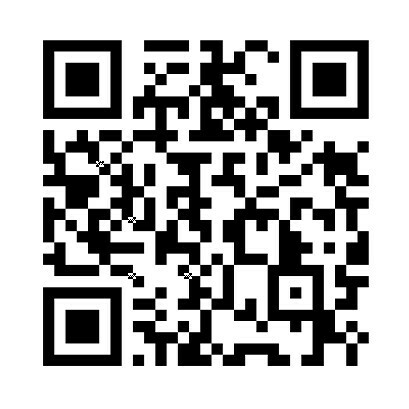 This is explained by oral tradition. Then it is added artisanal rennet from dried stomach of pork. Once the rennet is drained, it is left to dry wrapped in a cloth, no more than fifteen days, then it is passed through the kneading machine and the gorollos are formed, truncated cone-shaped portions that have to be reeled up (go through the roller) , repeating the process over and over again. The rest time is a fundamental factor that will have a great influence on the power of flavor and spiciness that you want to achieve. The longer, the more strength the cheese is taking. The next operation is to go back to knead the "gorollos", this process can be repeated twice to make a soft cheese, and up to ten for the most spicy and strong. The more thinner the cheese becomes, the better it will heal and the taste will be fuller. This is because the microorganisms that are deposited, naturally, on the cheese, are incorporated into the dough in each rabiladura. When it is considered that the last pass has been given to the dough, It is carefully molded by hand, giving it a spherical shape and then beating it against the table to obtain circular and flat pieces. Finish the manipulation by marking the cheese on the upper side with a wedge. The identifying sign of the house. After a cure of two or three months in a cool and ventilated place, the cheese is ready to be consumed. 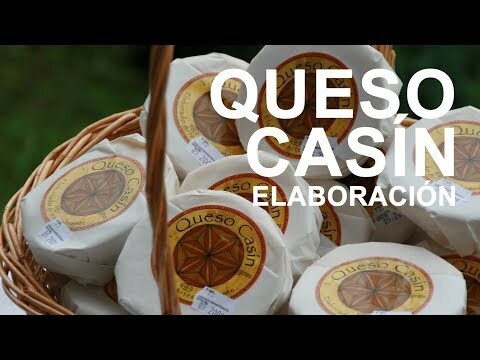 Coinciding with the last Saturday of August, the annual Casín cheese contest, where the artisanal producers of this cheese go, is held at La Collada de Arnicio, a division of the Nalon and Sella basins. 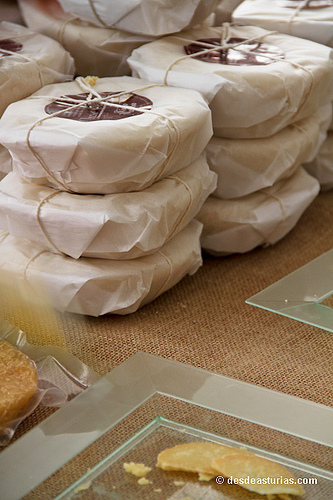 Today, more than 40 varieties of cheese are made, some of the best known and most popular ones we present to you, if you want to discover more about the cheeses of Asturias. Elaborator: María de los Ángeles "Mari Ge" Álvarez. 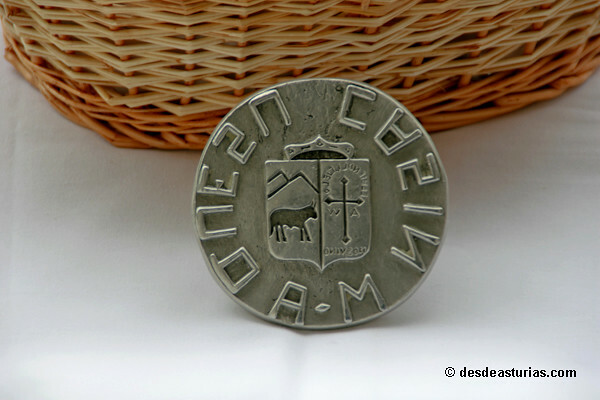 Street of the Constitution, s / n.
Approximate price piece of 300 grams: 6 euros. 2 answers to "Casin Cheese"